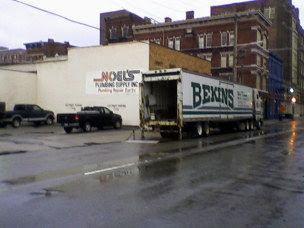 Noel's plumbing supply, which has been a great resource in Over-the-Rhine and Downtown for as long as anyone can remember is moving today to Evendale. Their existing site at 1200 Walnut has approximately 4,600 square feet and maybe a dozen parking spots. The existing parking and loading area is not fenced-in. Their new location at 2985 Glendale-Milford Road, near the intersection with Reading Road has a 10,000 square foot office, 3,000 square foot storage building and lots of fenced loading and parking space. I don't like it, but I suppose this is an expansion for them and means that business is good for them. I wish them well. Not sure if there is anyplace else closer to downtown than Evendale that sells parts for ancient sinks. Anyone know? -The newly expanded ACE on Main Street seems to do a lot of business. -Doppes in Queensgate, the only place downtown that carries lumber. Kind of a relic. -Hartke for keys and locks, at Brighton Corner, West End. Definitely a relic! -My favorite: Rohs, 1403 Vine. Losing Aufdemkampe's was the unkindest cut of all. I have never known a better hardware and tool store, previously or since. At least Noel's is surviving, not going-under. From my shopping experience, I would guess Doppes is next. I hope I am wrong. 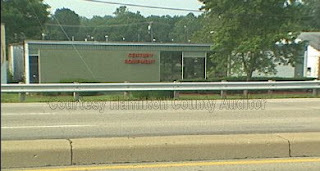 I think there is a plumbing supply store in Norwood on Montgomery Road near Surrey Square Mall (if it's still called that). Not downtown, but closer than Evendale. The Aufdemkampe sales people had the best jokes. They also knew where everything was and what it was for. Everything was in perfect order. But it was expensive, and it's gone. See Leon Supply in Camp Washington for plumbing stuff. They have everything. ^Thanks, I forgot to mention Leon. Not only do they have plumbing stuff, but they also have kitchen and bath cabinets and countertops. Not so sure they have the fixings for old wall-hing sinks though. There is also the old Wides Pipe, which is now called Ferguson, on Central Avenue in the West End. However, they are more for quantities of piping for the professional plumber.